As a primary resource for laity in Greater New Jersey, the Laity Leadership Academy on September 13 provided a day of learning, discussion and brainstorming for participants to grow in their spiritual leadership. 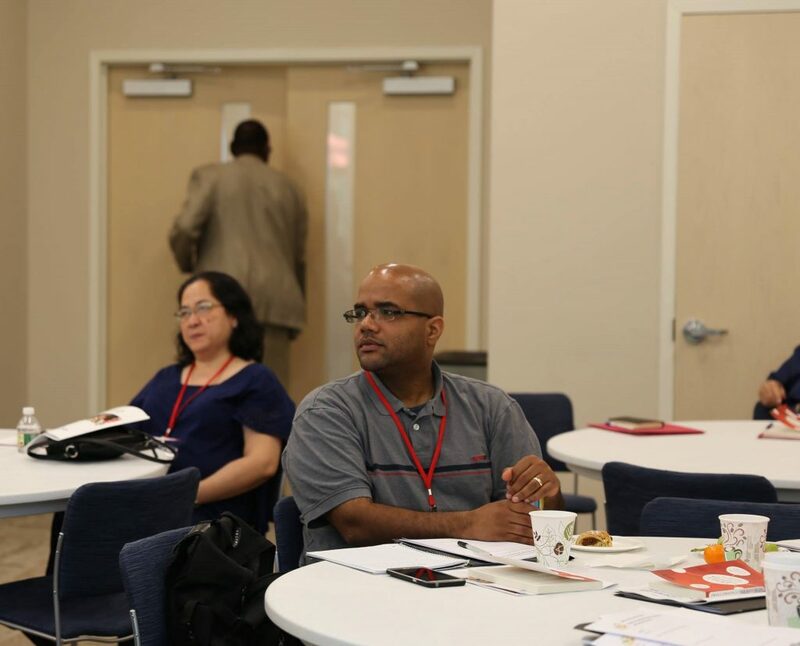 Attendees were invited to choose one of four tracks which included strategic planning for small groups, new approaches to worship, preaching, and social media. In addition to exploring new ideas, the day was immersed in creativity, sharing, laughter and relationship building. GNJ Lay Leader Rosa Williams, who organized the academy, wanted lay leaders to come away feeling empowered and prepared to apply what they learned from the event. Drew’s track explored both the organizational and creative side of worship as well as incorporating video and multimedia. The session inspired leaders to plan creative worship services in collaboration with their pastors, use the arts to bring the worship experience to life, create calendars and integrate new spiritual gifts into the worship committee. Sophia Agtarap, Minister of Online Engagement for Rethink Church in Nashville led a course on social media. The group identified advanced techniques and current trends, best practices using case studies and learned about blogging, editorial calendar making and building a campaign. Agtarap’s favorite part was teaching how to create high quality and engaging graphics using apps literally available at her fingertips via smartphone. She went through the mechanics of creating posts, photos and ways to reframe a post on social media to create higher engagement. Her group discussed how to talk about social media as a key tool of ministry rather than something to be passed on to the youngest person on a staff or volunteer pool. “It’s so exciting to see lay leadership alive and excited about ministry in GNJ,” Agtarap said. Trey Wince, Director of New Disciples, helped his track understand the difference between a good sermon and a great communicator. The group worked through the stages of sermon preparation from message to manuscript, exploring how grammar, language, word selection and humor impacts delivery. For Rev. Beth Caulfield, Director of Small Groups, who has led a strategic planning track for small groups at the academy for the past three years, the positive energy of the lay leaders was inspiring. Caulfield’s track assessed the needs of each small group community in their own context and focused on putting intentional discipleship back into the small group vision. Participants discovered leadership skills to help their small groups thrive and what it meant to partner with clergy to increase church engagement. At the end of the session, all individual plans were placed on an altar and consecrated as a symbolic and memorable gesture of encouragement. “I really enjoyed how much these lay leaders appreciated putting the practical nuts and bolts of making a plan with the spiritual aspect of giving that plan to God,” said Caulfield.